The Svartsengi geothermal power plant is located in the municipality of Grindavík at the southwestern tip of Iceland, approximately 45 km from Iceland’s capital, Reykjavik. The Svartsengi plant was the first geothermal power plant in the world to combine generation of electricity and production of hot water for district heating. The total installed electricity production capacity of the Svartsengi Power Plant is 74 MW. The plant also generates 190 MW thermal capacity for district heating, supplying heat to the Reykjanes peninsula and thousands of households. 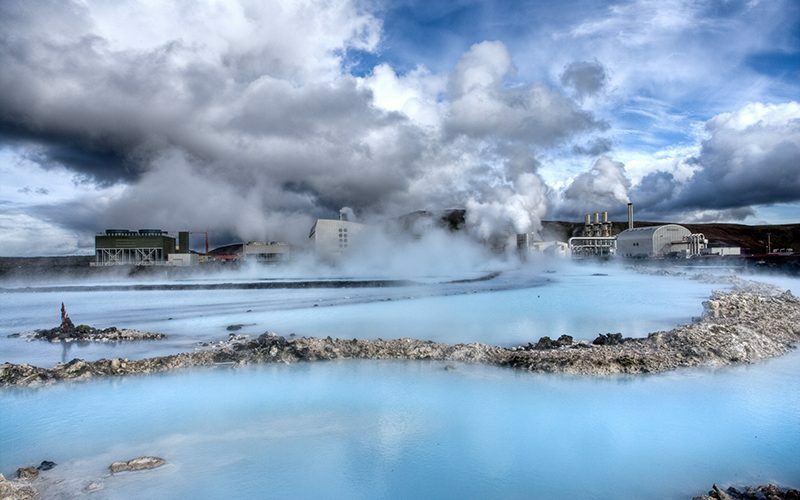 Waste heat from the plant is used for various purposes including at the Blue Lagoon spa facilities located nearby. HS Orka hf. sells power to a number of commercial and retail customers including power sold under long-term PPAs with Landsvirkjun, Norðurál and Advania ehf. The long-term contracts with Landsvirkjun and Norðurál expire in 2019 and 2026 respectively. The Svartsengi plant is owned and operated by HS Orka hf. HS Orka hf. is owned by Magma Energy Sweden A.B. (53.9%), Jarðvarmi slhf (33.4%) and Fagfjárfestasjóðurinn ORK (12.7%).